Those looking to Mar-A-Lago for evidence of Donald Trump’s sound management skills will likely be disappointed. The pricey Trump-owned Florida resort—which he has trying to pull off as the “Winter White House,” like there is such a thing—has recently been called out for a number of violations, ranging from structural to safety to kitchen hazards. 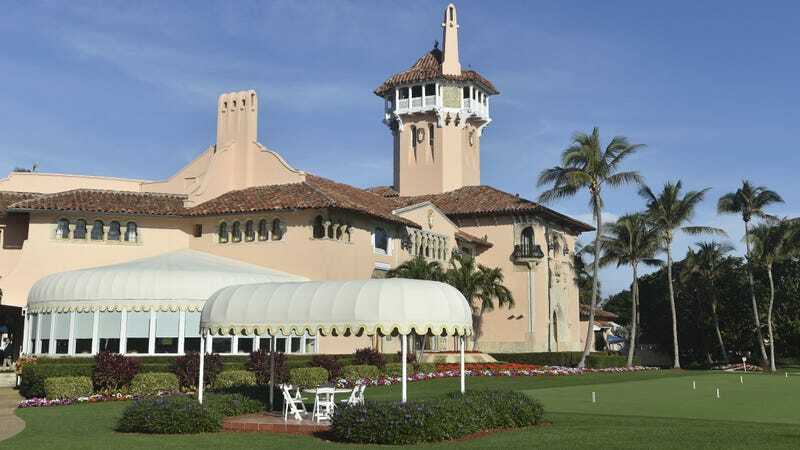 The Miami Herald reports that on November 8, the property was cited for “two violations deemed high priority: the lack of smoke detectors capable of alerting the hearing impaired through flashing bright lights; and slabs of concrete missing from a staircase, exposing steel rebar that could cause someone to fall.” Mar-A-Lago was checked again prior to Trump’s Thanksgiving vacation and was found to be in compliance. The Herald notes that Mar-A-Lago’s kitchen was previously cited in February 2017, when “inspectors found sushi fish ready for consumption without the obligatory treatment for parasites and cited the club for storing food in two broken down coolers at temperatures that spoiled fresh ingredients.” We hear the chocolate cake is really great, though.